What is this pixel binDing that adorama speaks of? I'm not sure what it is but it sounds bad, I want my pixels to be free to artistically express themselves! If I understand the forum logic correctly, we are expecting a lower cost camera than the R, but with higher specs. Is the RP going to have any sort of weather sealing? Don't forget that Canon made the statement that going forward everything will have on board ADC before the 6D II was announced. 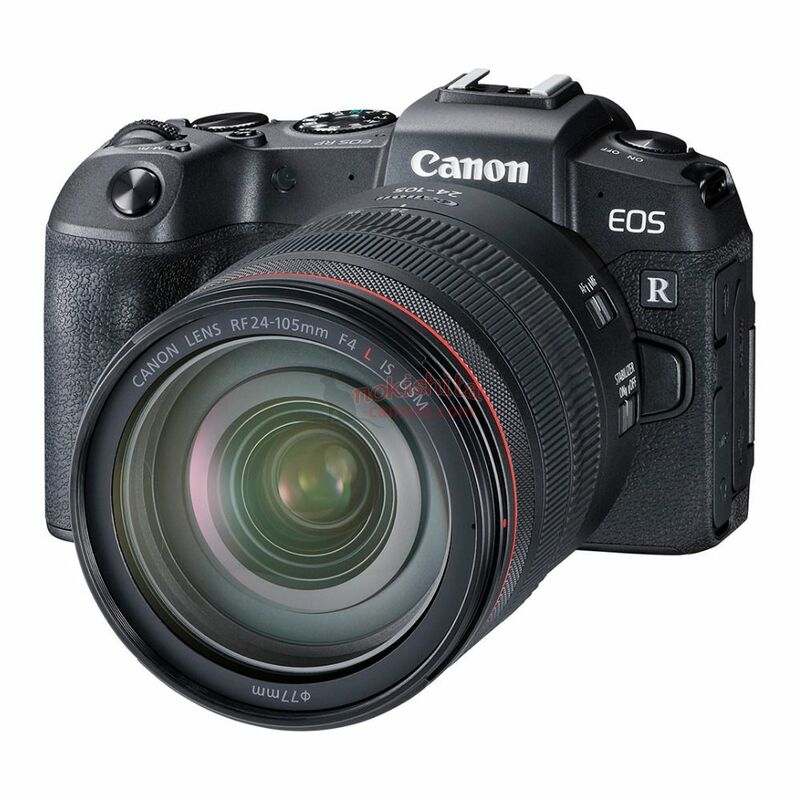 Now, maybe it was already too far along in the production pipeline, but if Canon is going for a really low price, I wouldn't be surprised if it is not on board ADC. But I will probably buy one anyway, as the 6D I used to own had plenty enough DR for all my daytime shooting needs. Correct. But now that the fabrication system is firmly IN place (whereas it really wasn't as the 6D2 was being developed) it seems more likely now. But as I said I don't know the logistics of taking that same 6D2 wafer with 26MP and put it through the new process with onboard ADC. Someone with more technical knowledge will have to chime in. When downscaled less quality lenses do good 4k too. Looks like the headphone jack hasn't been left out. Why does it display only R except for the top - seems odd? Look at the small battery grip?! It's a well engineered extension grip (sarcasm). The real question is, why is there a picture of a SD card or battery on it? Ugh, I hope I’m wrong but that EVF is disappointing. Really that might be the only thing that stops me from buying it right off the bat. because it replaces the battery door from the camera. so that's the inside of the door you are looking at. not sure why you'd think that a entry level camera would have as good of an EVF as the big boys, but what's so dissappointing about 2.36mdot? that's the same specs as the sony's. I really have little first hand expirence with EVFs, just working with the M50 and R side by side. If it’s the same EVF as the M50 than it’s a disappointment to me, “entry level” or not, on a $1300-1600 camera. Edit: And I am happy to be wrong here, if this is just an issue in my head and works out fine, then even better.